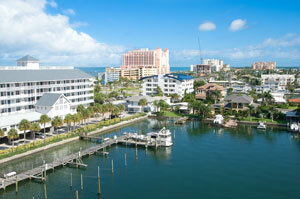 Clearwater, set in the middle of the Tampa Bay Area, is home to over 100,000 people. It holds annual festivals which draw thousands of visitors and locals alike. Events like the Image International Film Festival and the Fun N Sun Festival are a great opportunity for effective out-of-home advertising. The major roads the services Clearwater offer another option for high traffic billboards. Florida State Road 60, State Route 580, and U.S Route 19, the latter servicing over 100,00 vehicles a day, create an opportunity to grow your business with billboards. Zip Codes: 33755, 33756, 33757, 33758, 33759, 33760, 33761, 33762, 33763, 33764, 33765, 33766, 33769.